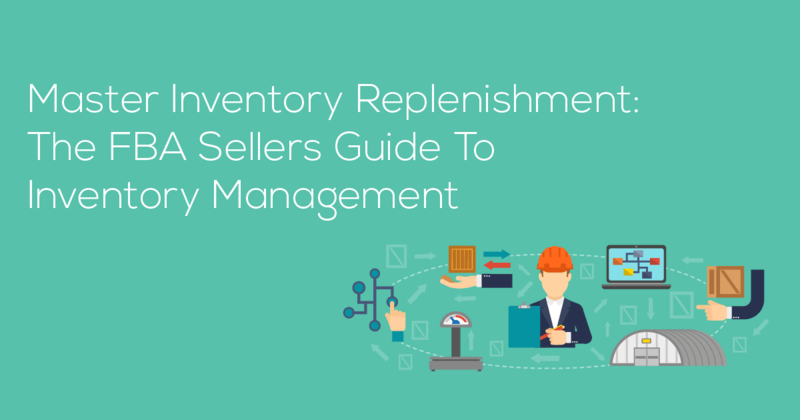 Inventory management is often the most overlooked, and challenging, topic for Amazon sellers. The lure of upward growth in revenue, units sold, traffic, is obviously alluring and merits the time of a busy seller. However, when considering the overall impact to the bottom line, the big wins and losses rest with inventory management. Inventory management is the biggest opportunity that Amazon sellers have to recoup money that is left on the table. By simply getting a better grasp of when, and how much, inventory to order, sellers minimize the chance of losing revenue due to an inactive listing. And the negative ramifications are felt even when you have inventory and back in stock: your Best Seller Rank likely plummeted while you were out of stock, and you have to spend time and money running promotional giveaways to recoup your previous position. And all the while, your competitors have presumably generated more sales and reviews which you have to catch up on. Jeremy shared two great free resources that handle the basic inventory management calculations you need for knowing when to order, and how much to order. How do you prevent stockouts? Jeremy notes that many sellers try to prevent stockouts by focusing on how much inventory to order. However, the more important question to answer is when you should order your inventory. There are several important figures that you will need to calculate the ideal time to order inventory. Lead Time: how long does it take for your inventory to arrive at Amazon’s warehouses from the time you place your order. More importantly, when considering this timeline, think about the worst-case scenario. Including delays at customs, issues with wire transfers, slower-than-estimated production times. All of these can delay your lead time, and you want to account for these variables and plan for the worst-case scenario (ie the longest amount of time it would take to arrive at Amazon). Sales Velocity: Sales velocity is simply how many units are sold on a daily basis. The calculation is simply the number of units sold, divided by the number of days. For example, if Jungle Stix sold 300 units over a 10 day period, the sales velocity would be 30 units per day. Jeremy notes that sellers run into issues when calculating sales velocity by not accounting for out of stock days. Continuing with the same Jungle Stix example above, suppose that of the 10 day span that sold 300 units, there were 5 days where the product was out of stock. The sales velocity would actually be 60 units per day (300 units divided by the 5 active days selling). How Much Inventory To Order? Jeremy recommends always purchasing more inventory than your lead time, often by least 2 to 3 times. For example, if the lead time is 30 days, then you want to have at least 60 to 90 days worth of inventory. The beauty of the spreadsheet that he shares is that it very clearly shows you when you need to place your order, based on how many units of inventory are left and how many days that is. One additional mistake that Jeremy sees sellers make is not making contingency plans for the unpredictable surge in demand or delay in getting inventory to Amazon’s warehouses. He calls this “Safety stock”, which is simply extra stock as an insurance policy against these unforeseen circumstances. How much Inventory Should You Order With Your First Shipment? Jeremy also shared a helpful Excel spreadsheet to help calculate how many units to order in your initial shipment. The main problem he sees sellers encounter is not planning far enough into the future, namely the second shipment. The oversight is mainly due to not accurately predicting the amount of units devoted to promotional giveaway, not estimating sales velocity accurately, and not accounting for enough lead time from manufacturing to Amazon warehouses. How do you estimate the sales velocity? One free way to manually estimate the sales velocity is by using Jungle Scout’s sales estimator https://www.junglescout.com/estimator/ , and enter the Best Seller Rank for some of your competitors. You will get an estimated sales per month, and from there you can easily figure out an estimate for sales per day. One cool feature with Jeremy’s Initial Order spreadsheet is that it incorporates the shipping option, whether by ocean freight or air, and how much the total investment would cost by each method. This allows you to weight the cost/benefits of having your inventory available faster, at a slight increase in cost per landed unit. The takeaway from this webinar is crystal clear: accurate inventory management is the most impactful way to capture all the money that you possibly can. Even if just doing quick calculations with his simple Excel spreadsheet, it is an easy way to keep tabs on your inventory stock levels and when you should place your next order. Or if you are an Amazon seller with several products and looking to streamline inventory management with a one-stop-shop, Forecastly’s 14 day free trial is definitely worth a shot. If you can master even just the basics of inventory management, you are giving yourself an advantage over your competition, who will suffer the unwanted fate of stockouts, lost sales, and ravaged Best Seller Ranks. With the 4Q holiday surge right around the corner, now is the best time to start getting a handle on your inventory forecasting! Make sure to claim your free forecasting tools right now! What about taxes? No FBA seller discusses the tax liability requiring them to register in all US States with Amazon warehouses…as you have no idea which one Amazon will send it to. Can you provide any guidance on how to efficiently handle the FBA tax burden? No. Shipping 3x 500 units, instead of 1x 1500 would cost so much more in terms of shipping.. I think there’s a misconception about international shipping costs here. Once you’ve hit a certain weight threshold for your shipment, it’s charged at $$$/KG. So regardless of shipping 3x 500 units or 1x 1500, your shipping cost per KG only fluctuates slightly according to seasonal pricing. If you’re a regular volume shipper (instead of ad-hoc shipper), you can even lock in your discounted shipping rates with your carrier. When you’ve a larger shipment, you can even negotiate for further rate cuts on top of your discounted rates. Getting a further 30% or 40% off your already discounted rates is very possible if you’d just pick up the phone and negotiate with your account manager. This is based on my over 20 years experience in international commerce/shipping. This is very amateurish in terms of international trade and logistics planning. Instead of doing 2-3x your volume based on your lead-time, you can be doing multiple orders/shipments. This is a lot more efficient in terms of inventory control according to your sales demand. Assume you sell 10 units/day, it’s 300 units/month. Assume your lead-time is 45 days, which works out to about 450 units. So to be on the safe side to prevent stock outs, you place an order for 1500 units which should lasts you for about 3 months. However, the smarter way to do this is to split this into 3x 500 units orders, where you can order them on day 1, day 31, day 61. If sales are slower, instead of day 31, it can be day 40. If sales are happening faster, it can be day 25 instead of day 31. If you can split this even smaller chunks and work out a weekly order/shipping schedule, that’s even better for your inventory management. Having more frequent orders/shipments based on your weekly/bi-weekly sales volume is a much better way of managing inventory costs. The shorter the time frame, the better it is. Inventory costs is a huge killer of profitability. The quicker you can turn around your inventory, the harder your money works for you. One more advantage of having frequent shipments, if one of your shipments (shipment #1) gets delayed (or worse lost/damaged in transit), the next shipment (shipment #2) is arriving shortly after and the shipment after (shipment #3) can be shipped earlier than scheduled with more quantities to make up for the shortfall. Hi, thanks for all the info. Where can I find the second part to the tutorial on launching a new product? You were going to give away the profits on this one sample class. If you are referring to something else, just let me know. Thanks!